Actor and filmmaker El-Sayed Bedeir (1915-1986) made great contributions to Egypt’s cultural scene over a period of almost 60 years. His efforts as an actor, writer and director in theatre, cinema, radio and television was so extensive that he was dubbed “the Square Artist” because of his success in the four aforementioned four fields. Bedeir, who was born on 11 January 1915 in Sharqiya governorate, began writing stories and plays while still at school. He then joined the Supporters of Acting and Cinema Company, which included Soliman Naguib among its distinguished members. Bedeir benefitted immensely from visiting foreign theatrical companies which collaborated with the company. The company often performed at the Cairo Opera House. His focus on the arts led Bedeir to neglect his undergraduate studies to become a veterinarian, driving him eventually to leave academia altogether and devoting himself totally to the arts. In 1935 he joined foreign radio stations that offered programmes in Arabic, such the Near East Radio and BBC Arabic. Then he moved to the Egyptian Wireless Radio, as they used to call it in the 1940s. He was then promoted to general supervisor of the station’s drama series. Through his work, Bedeir participated in a large number of radio dramas and musical sketches as an actor, writer and director. His cinematic debut was in 1937 when he acted and wrote the story of Tita Wong, which was directed by Amina Mohammed, the well-known actress Amina Rizk's aunt. 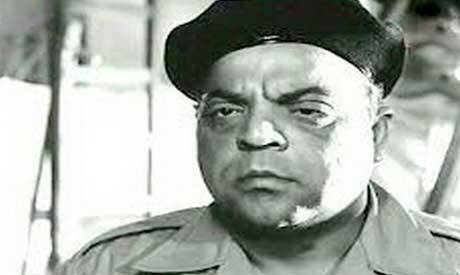 He went on to act in 80 films, the most prominent of which were The Mad Woman (1949, Helmy Rafla), Full Moon (1950, Niazi Mostafa), and Samara (1956, Hassan El-Seify). However, he was best known for the comic role as a naive countryman named Abdel-Mawjud, which debuted in director Abbas Kamel’s film Good News (1951). There was a duet between Bedeir and Mohammed El-Tabei, an obscure character actor playing his father. Bedeir’s character gained huge popularity and drove Bedeir to reprise this funny character in a number of films, including Son of the Rich (1953) and Brides for Auction (1955, both directed by Hassan El-Seify). In addition to being a cinema actor, Bedeir made an indelible stamp in screenwriting through a set of classic films, on which he collaborated with Egypt’s most famous novelist Naguib Mahfouz. The pair jointly wrote the director Salah Abu-Seif’s masterpieces such as You Will Get What You Deserve (1951), Foreman Hassan (1952), A Woman’s Youth (1956) and The Strong Man (1957). He also collaborated with other big directors such as Hassan El-Imam in Angels in Hell (1946) and A Wife’s Confessions (1954); Atef Salem in They Made Me A Criminal (1954); Niazi Mostafa in Dock No. 5 (1956); and Youssef Chahine in Conflict in the Harbour (1956). Bedeir worked as a screenwriter until 1982, when he adapted Ismail Wali-Eddine's novel The Slaughterhouse for direction by Ahmed El-Sabawi). Starting in 1957, Bedeir also began to direct. His debut, Glory, was based on a story by its star, Farid Shawqi. It was followed by 18 films, all of which he co-wrote. His films as a director were diverse, even though he himself was classified as a comic actor. He directed a detective films like The Virgin Wife (1958), patriotic films like The Sea Giants (1960), romantic films like The Olive Branch (1962) and refined comedies like Sukkar Hanem (1960). In so doing he proved he had an artistic vision and intellectual wealth that made him one of the major contributors to the art of cinema in Egypt. But this multi-talented man saw that wasn’t enough, so he wrote a number of important plays. When Egyptian television was launched officially in 1960, Bedeir was one of the first artists contributing to its foundation and advancement. Suffice to say that he founded the TV theatre companies and administered them. These companies had the credit for the great theatrical renaissance witnessed in Egypt in the 1960s, and provided a number of talents in the fields of stage-acting, writing and directing. A Very Happy Family (1982) was Bedeir’s final play as an actor, playwright and director. Bedeir received a number of awards and honours, the most notable of which were the Medal of Sciences and Arts of the First Class and the State Appreciation Award in Arts in 1984. He died on 30 August 1986.